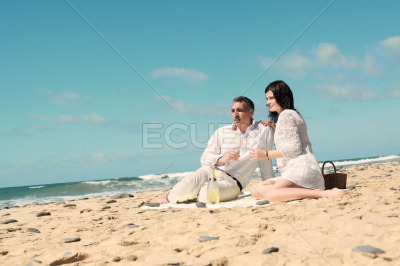 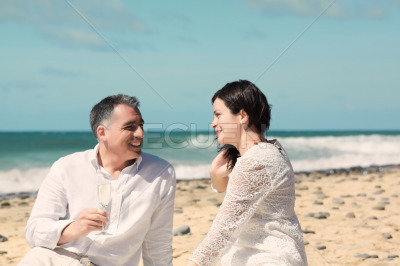 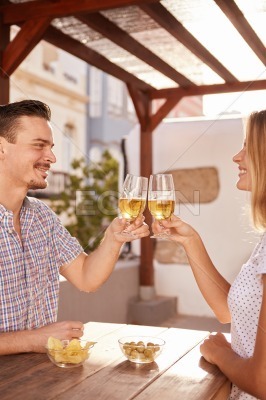 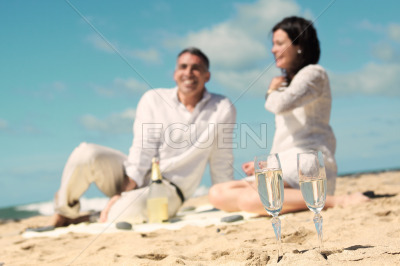 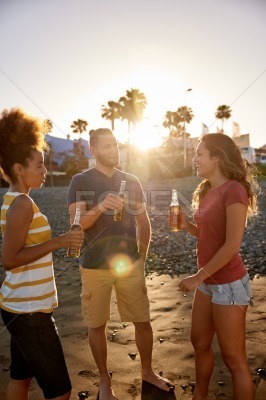 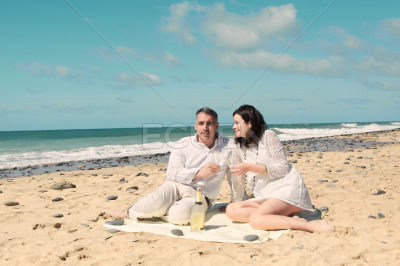 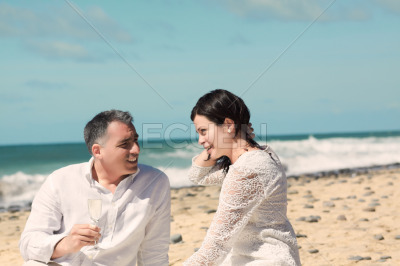 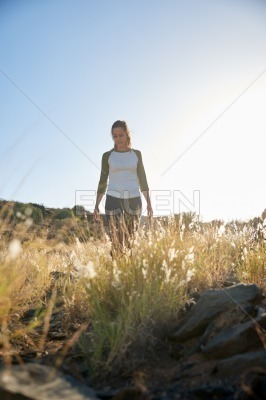 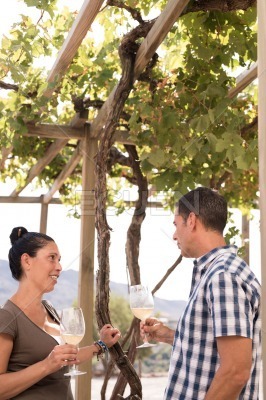 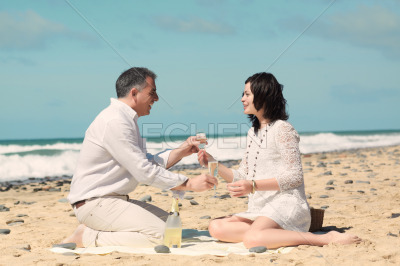 Couple looking to the horizon with glasses of champagne in hand stock photo. 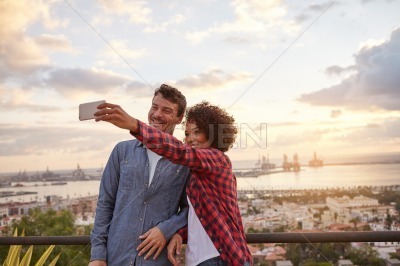 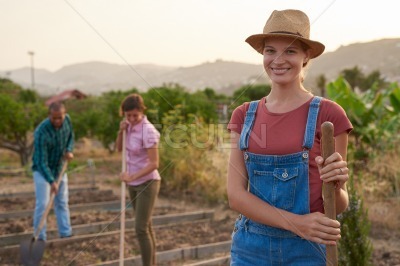 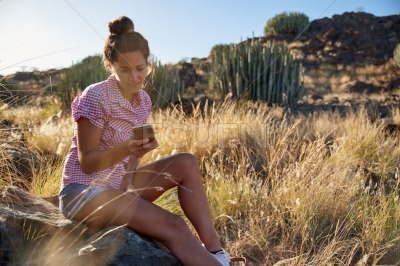 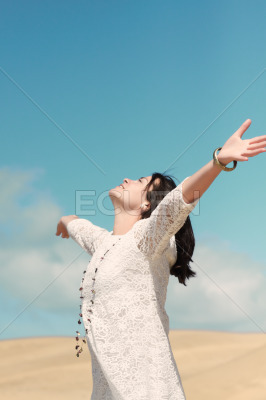 Get FREE Credit selecting a Credit Plan! 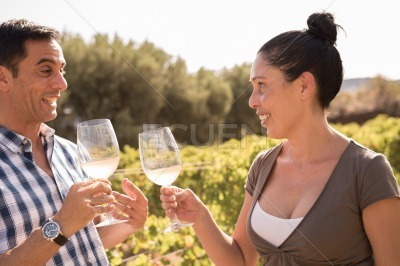 Log In and it will be automatically loaded.